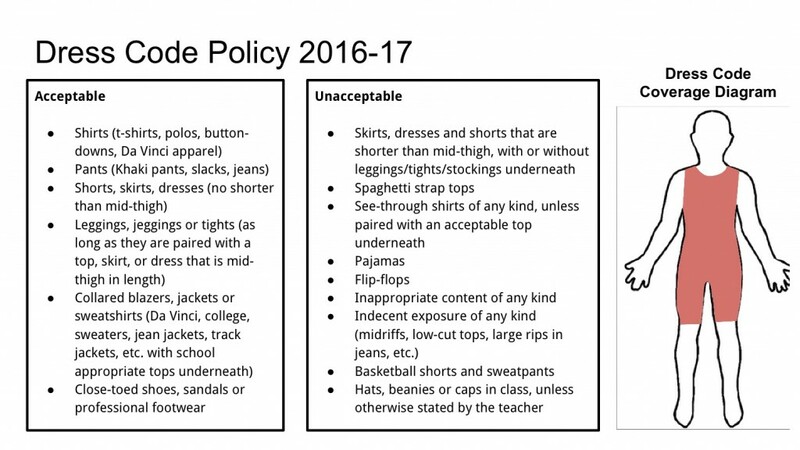 After careful time, work and consideration, the Da Vinci Design Dress Code Policy has been updated for the 2016-17 school year. The updated policy was shared with students in June and was also sent home with report cards. Please review the attached policy for the school’s most updated dress code information. The most noticeable change is that students are no longer required to wear collars every day. That said, there are still many of the same policies in place and we thank you in advance for working with your students to ensure they meet dress code each day.